The forests of Kerala are pumped with small and large watercourse which meets together for beautiful waterfalls. Whispering and cracking sound of the flowing stream adds to the center of attraction. They will just force anyone about spending hours by looking at the fascinating beauty of the spectacular waterfalls. Kerala’s rain-forest is very-well known for exquisite waterfalls during the monsoon time. There are 50 small or big waterfalls alone in the Idukki district, which makes Kerala one of the best water spot in India. Here is a list of 7 top most waterfalls in Kerala and also the best waterfalls holiday destinations in India. 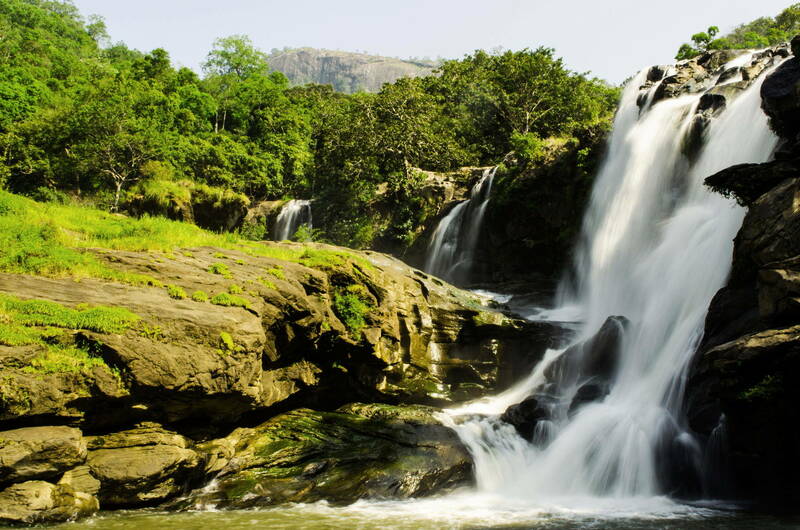 Atharppy Waterfall is located at a stretch of 47 kilometers from Thrissur. This is the highest waterfall in Kerala and the most jaw-dropping one. The sound of water hitting down from the rocks make its view picturesque. The music of fall of water when hit your ears it will give a sigh of relief. The water flows from the edges of the Sholayar forests and later on connects with the Chalakudi river. This waterfall is found in the Kollam district of Kerala. This waterfall finds the 40th spot in the highest waterfall in India. Ever year its inherit beauty attracts the tourists. You have to march through the dense forests to reach this beautiful waterfall and the experience you will have is a never-forgettable type. The foggy white color of the falling water gives origination to the name “Palaruvi” or “the stream of milk” waterfall. It’s one of the most beautiful waterfalls in India. Travel Tip: From Palaruvi Waterfalls, Thenmala Dam is about 11 Kms and Shenduruny Wildlife Sanctuary is about 31 Kms from Palaruvi Waterfalls and can be visited together. Nearest Airport to Palaruvi: The nearest airport is Trivandrum Airport – 77km away. Nearest Railway Station: At a distance of 75km lies Kollam Railway Station. It is a seven-step natural waterfall; Thammankuthu is positioned near the town of Thodupuzha. Each of the seven steps in the waterfall is accomplished by a pool; a beauty you can’t mention in an excel sheet! The presence of a bizarre collection of indigenous flora and fauna make this part of Kerala’s waterfall even more surreal. It’s one of the most amazing waterfalls in India. Best Time to Visit: Monsoons are beautiful, but stay away from the fall. Post monsoon is preferred too. Tip: This place is connected by bus from Munnar and Thodupuzha. There are no facilities to rest near the falls. Air – Cochin International Airport is the nearest airport, 70 kms away from Thodupuzha. Rail – At a distance of 58 km, Ernakulam Railway Station is the nearest railway station from Thodupuzha and the other nearest station is the Kottayam railway station which 80kms away. Road – Thodupuzha (20 km) and Muvattupuzha (35kms) are the two nearest towns from where you can get regular buses to Thommankuth. The best route Ernakulam to the waterfalls is Ernakulam Muvattupuzha – Thodupuzha – take a left – Thommankuthu. From Calicut, the waterfall is 5o kilometers. The literal meaning of Thusharagiri is “snowy peak” or the “snow-capped mountains”. The waterfall makes a replica of snow spraying or water rolling down from it emerges from the Western Ghats from. If you are keen to know the origin of the waterfall; travel uphill to observe the glittering waters when the water is under the sunlight cover. Nearest City: Distance from Wayanad (Kalpetta) is 32 kms. Best Time To Visit: September to November; just after the monsoon. Road – At a distance of 11 kms, the nearest town is Kodencherry. You can rent a cab or an auto rickshaw to reach Thusharagiri. Rail – Kozhikode is the nearest railway station at a distance of 50 kms. Air – Karippur International Airport, Kozhikode is the nearest airport at a distance of 23 kms from Kozhikode. Nyayamkadu waterfall is occupying its space near Munnar; about 10 kilometers away from the town is a popular tourist spot. The credit of its uniqueness goes to the bubbling waters. Foaming waters and traveling freak stamp it as a haven. The waterfall is an altitude of 1600 meters, adding magical beauty to it. If you walk upward towards Nyayamkadu gap, then you can take great pictures of Munnar city and see the wonderful view of the tea gardens spread all over. Nearest City: Located about 10 km from Munnar town on the way to Rajamalai. Best Time To Visit: Prefer going in the months of June, July, and September. Road – There are bus services to Munnar from major cities in Kerala and Tamil Nadu. Rail – No railway station is there. Aluva (110 kms) is the closest railway station connecting trains to Munnar from different parts of the country. Ernakulam Junction (130 kms) is the prime junction from where you can get trains for major cities like Delhi, Bangalore, Mumbai, Chennai, and Mangalore. Air – There’s no airport in Munnar. Located at a distance of 110 kms, there’s Cochin International Airport from Munnar which is the nearest airport with flights connected to all major Indian cities and abroad. Buses and taxis/cars are available from the airport to Munnar. 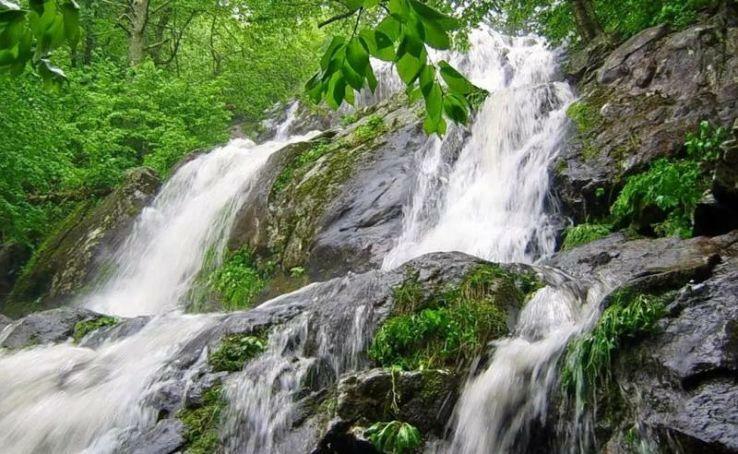 Meenmutty is one of the most gorgeous waterfalls in the state which is located in Wayanad. You have to go on a journey of 2 kilometers to reach there. You will experience boundless shades of greenery that knocks on the door of dense forest and beautiful valleys. Along with sunrays touching the water which falls from the rocky edges down to earth gives a dazzling view. Travel Tip: Hire a private vehicle from Kalpetta or Meppadi is an ideal option. How To Reach: Situated at a distance of about 45 km from Trivandrum, Meenmutty Falls is approximately 3 km away from Kallar-Ponmudi Road. From here, you book or hire a cab to reach the starting point of the trek. And after that, trek a long way to reach the waterfall. 7. Cheeyappara Waterfalls – Its beauty will mesmerize you! Another beautiful waterfall finds its spot on the Madurai highway known as Cheeyappara Waterfalls. Favorite things for people to do here are trekking and picnicking. To rejuvenate yourself you can experience the gushing beauty of waters. Best Time To Visit: Best time is during June, July, and August. How To Reach: You can come here by taking a bus, taxi or auto-rickshaws from Cochin City or as the waterfalls are located on the Aluva-Munnar Road, about 40 km from Munnar. So, it is best to reach the fall via vehicle and the nearest station is at Aluva, about 108 km from Munnar. Make sure to have an extra set of clothing in case you dive into the waters. Be careful of the monkeys commonly found here. There’s a restroom available near the waterfall. Just share this with your friends to experience beautiful Kerala and make it your next destination.